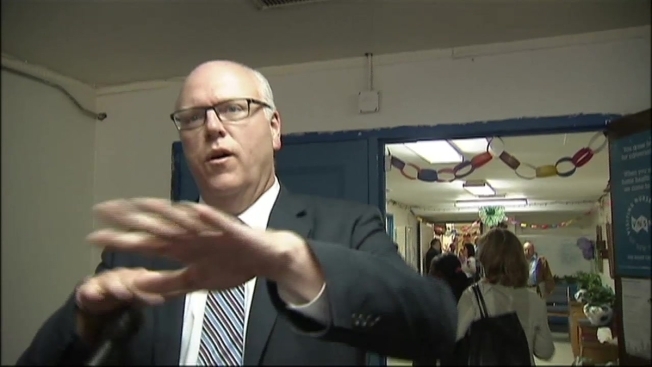 Among the U.S. congressmen who have Leadership PACs, or pots of money they can use to gain influence, bid for leadership posts and help their colleagues, Rep. Joseph Crowley has one of the largest among tri-state lawmakers. The I-Team examined just where that money is going. Since 2010, the Queens Democrat has spent more than $96,000 on trips and tickets to the Grammys in Los Angeles, plus $12,000 on hotel rooms at the luxurious Santa Barbara hotel Shutters on the Beach. He has also enjoyed $300 meals at trendy California restaurants like Spago and The Ivy, all funded with his Leadership PAC. During the 2012 election cycle, his PAC was the 10th largest of all members of Congress, with $527,500 in donations. This cycle, his PAC ranks 21st, the highest of any member of the House from the tri-state. Leadership PACs have come under increasing criticism because they are mostly exempt from many of the rules that apply to traditional campaign funds. Lawmakers are generally forbidden from using their campaign PACs for personal expenditures, but Leadership PACs can be used for almost anything. And many of the donations come from corporations. "I think it is this problem with Leadership PACs that members of Congress routinely treat them like slush funds and so they routinely take expensive trips, stay in expensive hotels, have expensive meals,” said Melanie Sloan, executive director of the government ethics advocacy group Citizens for Responsibility and Ethics in Washington. “Really these funds are used to subsidize their lifestyles," Sloan added. Companies like Pfizer, Google and Comcast – which owns NBC 4 NY – have contributed tens of thousands of dollars to Crowley’s Leadership PAC over the last five years. Crowley said the trips funded by his PAC had a legitimate political purpose – to raise more money. “They are not junkets. They are fundraising events and they’re done all over the country to help win back the House of Representatives for Democrats,” Crowley said. Other members of Congress defend their Leadership PAC spending on travel and entertainment as necessary for fundraising as well. Between 2011 and 2013, campaign finance records show Democratic Rep. Gregory Meeks used donations from his Leadership PAC to pay for $31,000 in hotel rooms and meals during Las Vegas fundraisers. He also used $24,000 to throw a Super Bowl party last year.